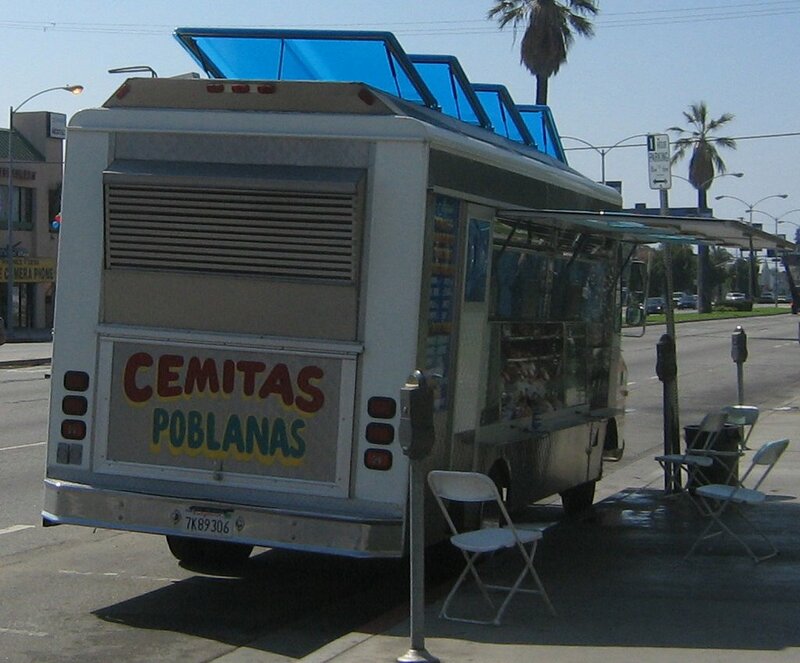 Chances are if you see a taco truck on the westside during the day it's actually a Cemita truck. These trucks specialize in the cemita poblana, a sandwhich served on a sesame domed roll with choice of meat, panela cheese, avocado, onions, salsa and sometimes a chipotle pepper. Cemita trucks will also make a taco. Some make good tacos but for some it's just an afterthought. These trucks can get quite crowded during the lunch hour with workers from nearby business and construction workers who are in the know. Angelica, a cemita truck that parks in front of the Smart and Final on Venice blvd in Culver City by all accounts makes a great cemita but I was curious how much thought went into the tacos. I ordered the al pastor and asada. The al pastor had a saucy blend of carmelized onions and crumbled soft pork. The asada, medium sized cuts of greasy flank steak. Both topped with onions, cilantro and a tasty salsa roja. The salsa here is a thick tomatillo/tomato hybrid with some spice to it. 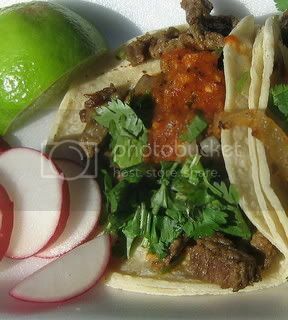 It's different from your usual taqueria salsa and has a charred smokey flavor to it. If you're curious about cemitas try the cemita poblana de milenesa. The beef is pounded thin and breaded and when done right they are excellent. The tacos here are dependable and won't disapoint. 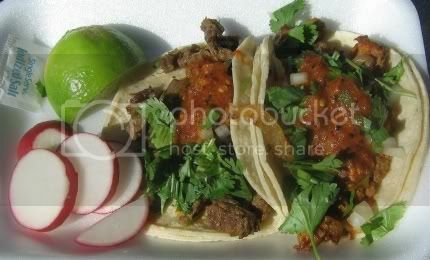 If you have that taco craving go see Angelica. Your blog rules. Tacos are the proverbial shiznit. When these guys are on, the best meat here is the carnitas. Hot, juicy, and delicious, especially with a little avocado added. I also love the carnitas cemita with extra chipotle. BTW, I don't know if things have changed, but I don't recall any caramelized onions in the al pastor. I'll double check the next time I hit them.